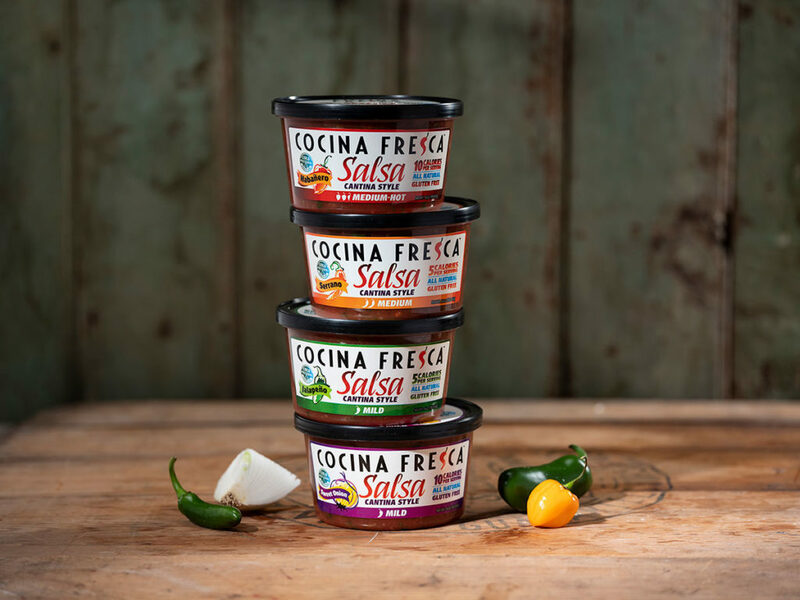 The makers of Cocina Fresca are a longstanding San Antonio family with a deep running heritage in the salsa business. With over 100 years of collective experience in the industry, it would be an understatement to say our recipes are tried and true. Each, quite frankly, has been perfected and this comes from our obsession with freshness. 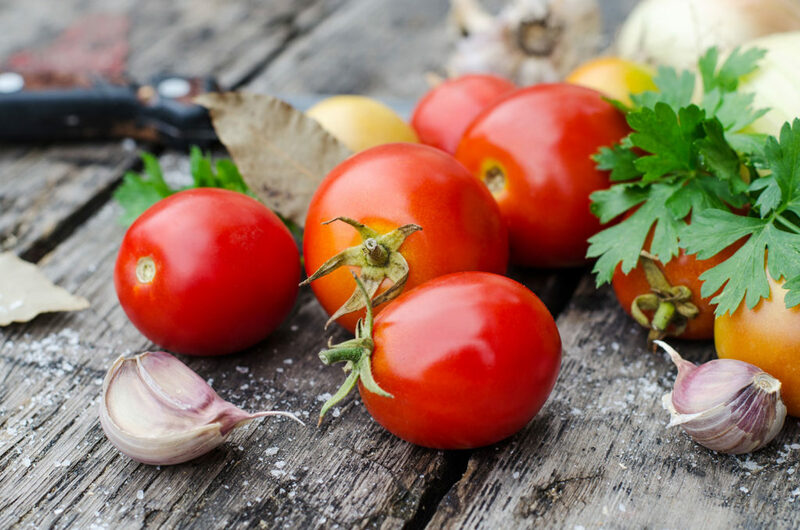 We understand fresh ingredients lead to unrivaled flavors that simply taste good. 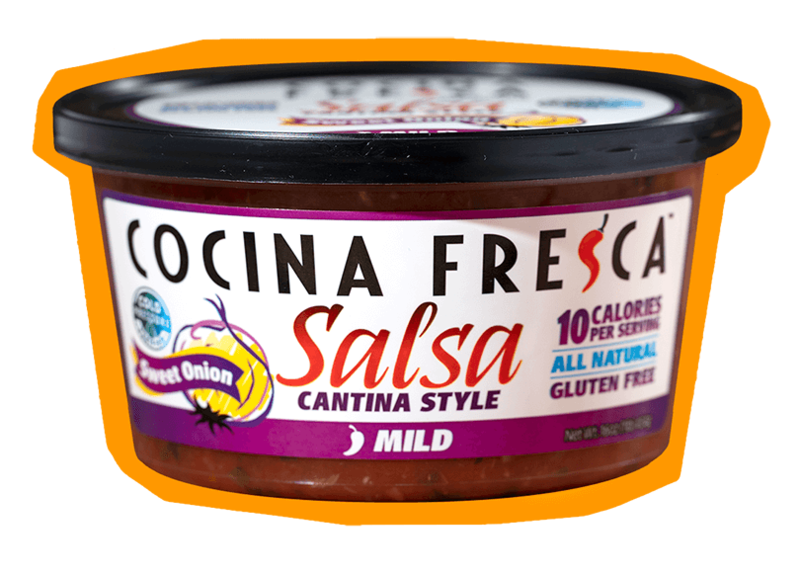 Cocina Fresca Salsas are the next best thing to Aunt Maria visiting your kitchen and making her secret salsa recipe right there — from scratch — using fresh produce. Is there any disagreement that fresh tastes best? We’ve yet to see a compelling argument. 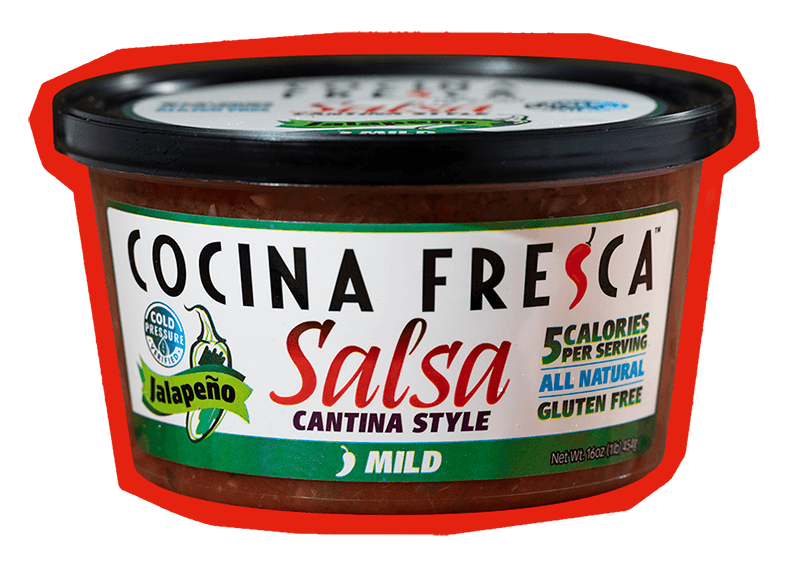 You see, heat-processed jarred salsa, or any salsa with preservatives, suffers from changes in flavor, as well as a breakdown of important nutrients. 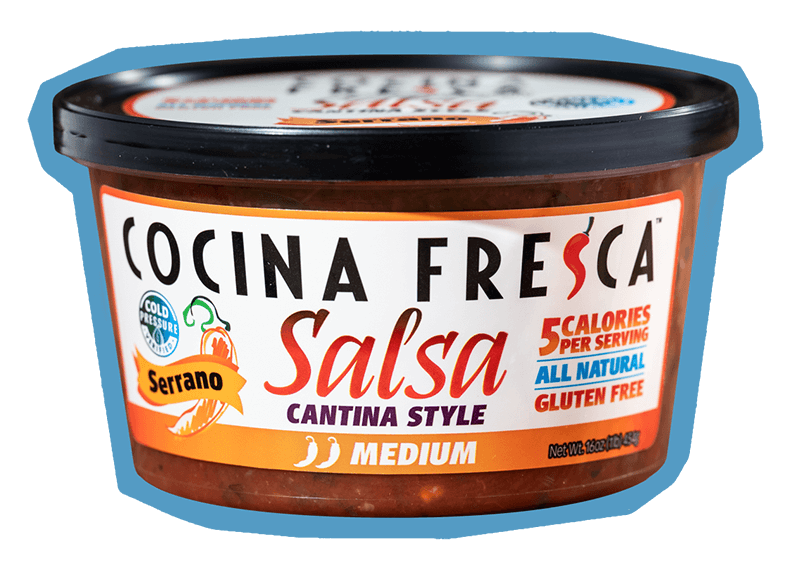 At Cocina Fresca, we start with the freshest produce, then chop, blend and package our salsas using cold high pressure technology to lock in all the fresh goodness. Thus assuring phenomenal taste, while forgoing any need for preservatives or additives. The science of high pressure processing involves sealing fresh food in its final water-resistant packaging. Then, the packages are subjected to high pressure cold water that is dispersed to the tune of 87,000 pounds per square inch, the equivalent of submerging something to an ocean depth of 37 miles. Doing so kills bacteria, viruses, yeast, molds, parasites, and any other nasty stuff, which ensures food safety while extending shelf life. 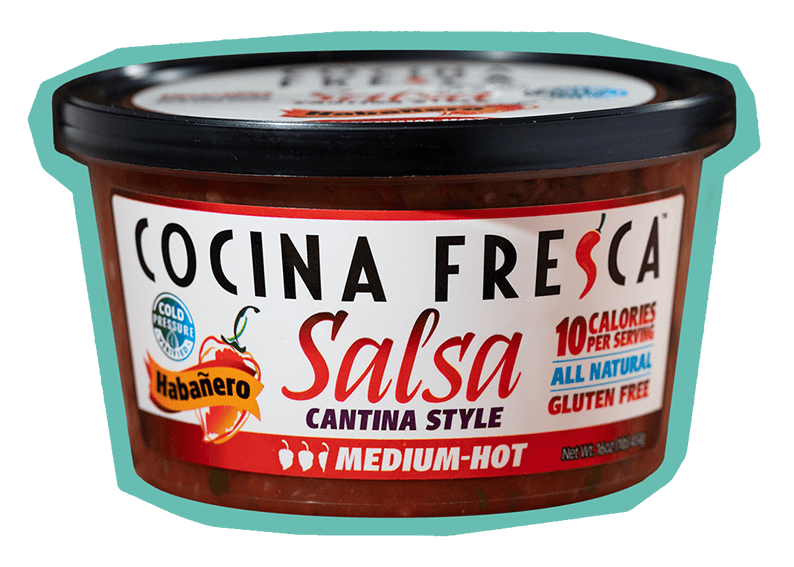 And because it is not a heat treatment, high pressure processing preserves the taste, smell, texture, and nutritional properties of our fresh salsas throughout their entire shelf life. Which is why you’ll find them only in refrigerated produce or deli section of the store. Pretty cool, huh?